Pollution contaminants such as anthropogenic mercury and Persistent Organic Pollutants have increased since the beginning of the Industrial Revolution and are now becoming more prevalent in isolated regions of the planet. These pollutants are lipophilic and therefore have bioaccumulating properties which are readily quantified in high-trophic predators, such as penguins. Additionally, penguins serve as unique biomonitors for this contaminant exposure because they are relatively sedentary compared to flying birds and have a very limited migratory range during the non-breeding season. These characteristics make penguins excellent biomonitors for environmental contaminants throughout the region. 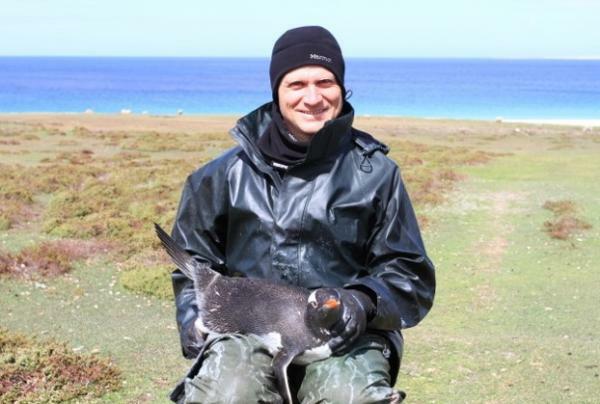 Specifically, we are looking at contaminant loads specifically in Gentoo penguins due to their widest latitudinal range of any penguin species, from the Falkland Islands at 51 degrees South Latitude to the farthest southern extent of the Gentoo’s range at 66 degrees South Latitude. By quantifying contaminant loads in Gentoo penguins across this latitudinal gradient, differences in exposure levels and bioaccumulation can be determined between birds living closer to industrialized areas versus those living in remote and isolated areas of Antarctica. As suitable biomonitors, penguins serve as a proxy for contamination levels in the Southern Ocean. This study focuses on colonization of penguins by antibiotic-resistant bacteria to determine if antibiotics are reaching these isolated regions of the planet and stimulating mutations of antibiotic resistance in bacteria. Pharmaceutical antibiotics aggregate in wastewater systems throughout the world following elimination in urine and these antibiotics eventually discharge into oceans. Antibiotic-resistant strains of colonizing bacteria have been found on various marine fauna close to populated areas and we are investigating whether antibiotic levels in penguins are reaching high enough levels in the sub-Antarctic and Antarctic regions to initiate resistance in these isolated areas. 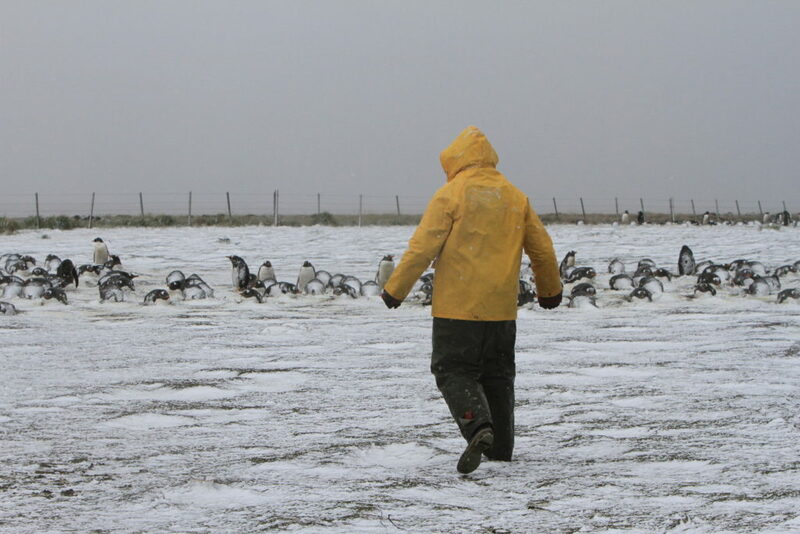 Population monitoring of Gentoos, Southern Rockhoppers, King penguins and Magellanic penguins throughout the Falkland Islands. Interactions between fisheries and Gentoo penguins to determine if off-shore fisheries are depleting Gentoo food resources.